Kyle Sinckler has presented Seymours with a signed 2017 Rugby Lions Shirt. Fresh back from the Lions 2017 tour of New Zealand, Kyle Sinckler (Lions, England and Harlequins RFC) has presented Seymours with a signed 2017 Rugby Lions Shirt. Simon Kelso Director “ I would like to thank Kyle for this kind gesture, the signed shirt will be auctioned on Thursday 3rd August 2017 at the Paul Rickard Memorial Charity Golf Day at West Surrey Golf Club. Money from the auction will go to The Prostate Project and HASTE (heart and stroke trust endeavour). 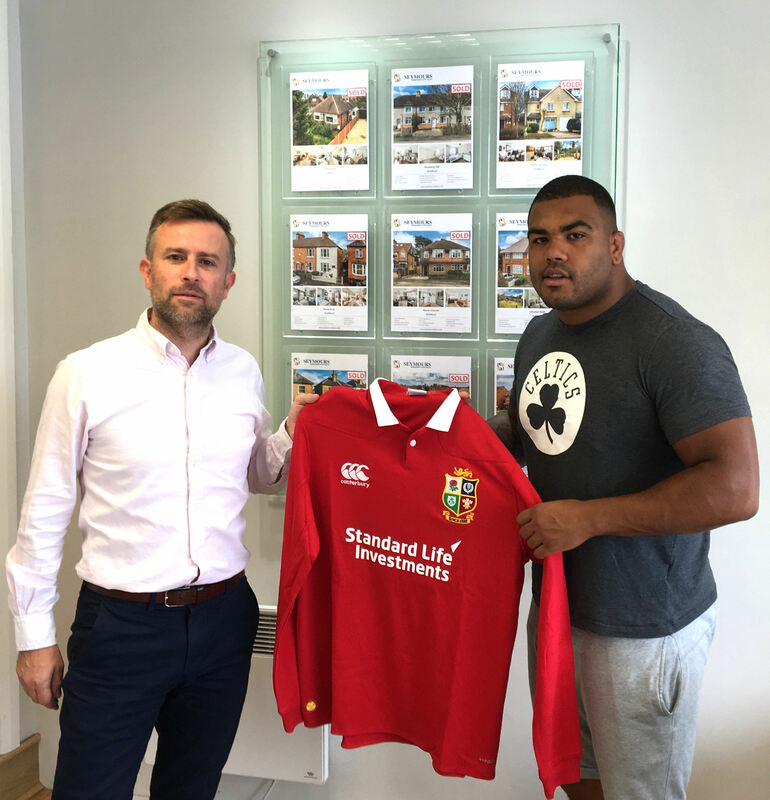 Kyle Sinckler “I have just purchased a house with Seymours in Guildford and they looked after me very well, I will look forward to collecting the keys from Simon soon”.